Sea urchin (Tripneustes gratilla) in coastal waters of Hawaii. Photo credit: Thierry Work, USGS. 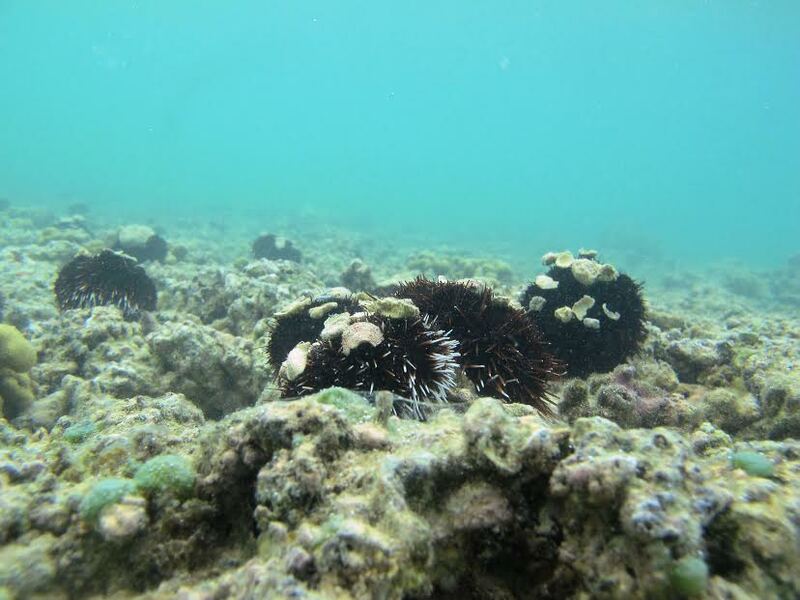 Scientists from the U.S. Geological Survey (USGS), University of Hawaii, the State of Hawaii Division of Aquatic Resources, and The Nature Conservancy are investigating unusual mortality of collector urchins (Tripneustes gratilla) that has been ongoing since February 2014. As grazers, urchins play a critical role in preventing overgrowth of algae on tropical coral reefs. Awareness of the linkage between urchins and coral health became apparent in the early 1980s when 80 percent of the Caribbean coral cover and the biodiversity it supported was lost following a 90-percent decline in the urchin population over the 3.5 million square kilometer area within about 12 months. Mortalities of collector urchins have been reported from Hawaii, Kauai, and most recently in coastal waters along Oahu and Maui. Efforts to identify the cause of these urchin mortalities are ongoing. This study was funded by the USGS Wildlife: Terrestrial and Endangered Resources Program.